It has been a few years since we have heard music from Bora York, the husband and wife duo out of Minneapolis. 2015 saw the release of their fantastic Secret Youth, an album that we were big fans of here at RCM. Since then, the duo of Rebekah and Chris Bartels have been concentrating on family, and writing music for their various other musical projects. The song is wonderful summery electro pop, heavy on synth’s, with an infectious guitar hook that manages to be the melodic backbone of the song, despite only containing six notes. Clever production allows for the inclusion of many layers, especially vocal harmonies, without ever sounding too busy. There is such pleasure to be had in a song that rewards the repeat listener with little surprises each time. The drums are upbeat, allowing the track to happily bounce along, whilst a quiet verse emphasises the chorus, the pair harmonising beautifully with staccato delivered vocals. “Rich, poor, sad or laughing, jeans, dress, crying or dancing, it feels like we’re floating, because babe you’re glowing.” Lyrically, ‘Glowing’ borders on the sickly sweet, but in the context of the song it is not overbearing. There is an obvious comparison to Chvrches, a fact unavoidable at the moment for any female led electro-pop band, given the Scottish trio’s prominence. The is also a similarity that can be drawn with Portland’s Wild Ones, but perhaps a slightly more pop version. The comparisons are by no means overpowering, and what really stands out is the wonderful combination of vocals, effortlessly natural harmonies that often only exist between couples or siblings. Last time we featured a single from Bora York was for ‘The Way You Groove’, a song that was full of up-beat pop sensibilities. 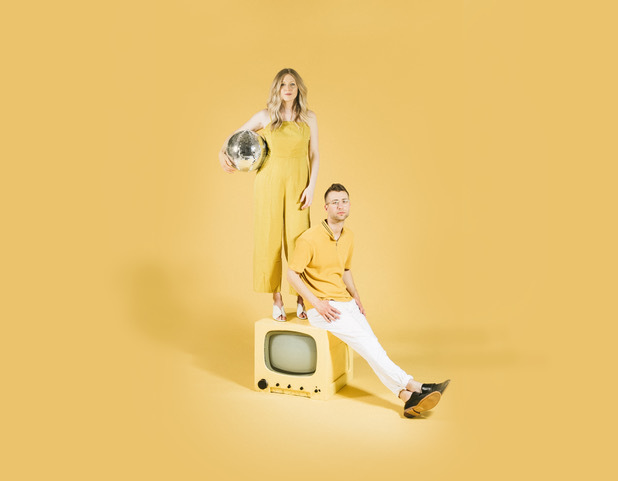 That was over three years ago, and now the band are looking to the future, with this new single marking the start of a new era for Bora York, adding an experimental edge to their lush pop sound. In addition to releasing consistently excellent music, Bora York also maintain an enviable presence online, especially when considering they are independent and self-managed. They have a fantastic series of photos to coincide with the new single, which are present across all their social media platforms. In addition, their Facebook page features some great videos and photos from shows, rehearsals, recordings, and other content that really increases engagement with fans. ‘Glowing’ is out now, available for purchase via Bandcamp, or streaming through Spotify. They will be launching the single on July 19th, at the Varsity Theatre in Minneapolis, with hopefully some more dates to follow. Be sure to head to their online platforms for more information, website, Facebook, Twitter, and Instagram.